£350 + VAT = 10 free staff places, Company Page and Charity Integration. Are you a business with a big social mission? Do you want to add value to your brand and improve the health of your team? We know you do because we have spoken to many of you. 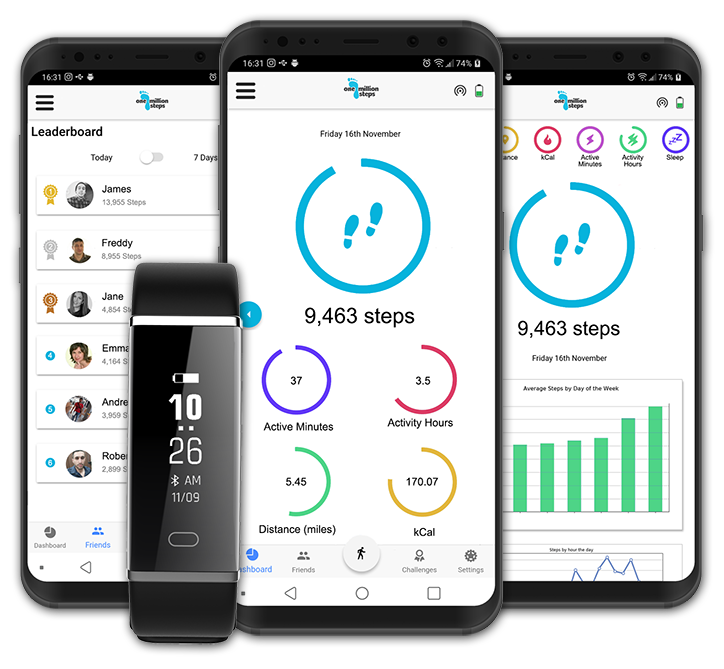 If an in-house health programme is beyond budget, signing up for The Million Steps Challenge is an engaging way to improve staff wellbeing and help social good causes in your community. Our challenge and fundraising platform allows you concentrate on your business, while our innovative eco-system handles the rest. No big spend and no headaches organising events. Be the first 100 businesses at just £350 + VAT for 10 places and onboarding to the system. Register you business, support a charity and get your own business Million Steps Challenge page. Then shout it out to your staff, friends, family, community supporters and on social media. Participants receive a pedometer and app to track their steps, active minutes, distance and the calories they burn. And then off they go! Challenging their friends, forming teams and cheering each other on! Raising money shouldn’t be hard work – at least, not for your staff! Leave the heavy lifting to our integrated fundraising system which encourages participants to blast out achievements to raise funds for your chosen charity and lets donors follow the journey. Stand out as a business that prides itself on making a difference. Donation tracking and fundraising goals to keep an eye of the impact of your staff. Tell your staff about your aims and the charity you are supporting via video embedded into your profile, or by customisable welcome / thank you messages.